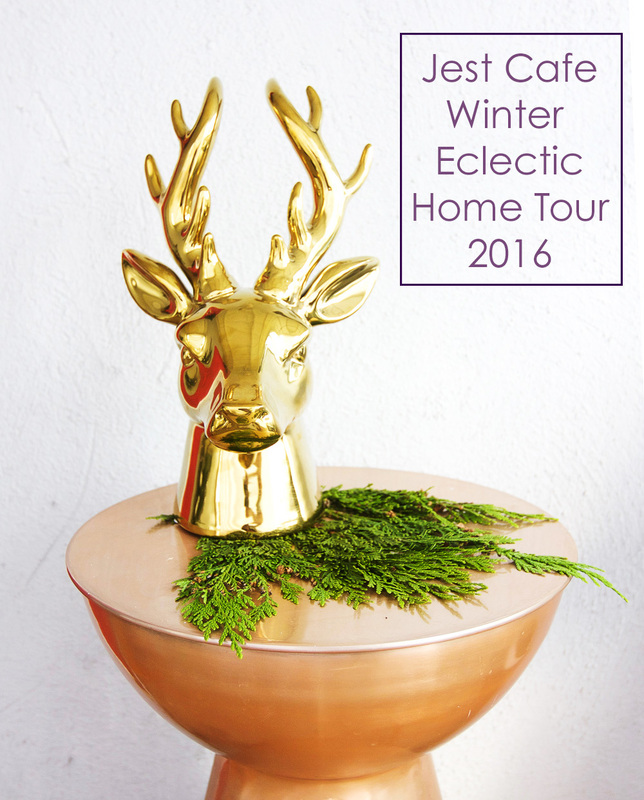 Our Winter Eclectic Home Tour is here. 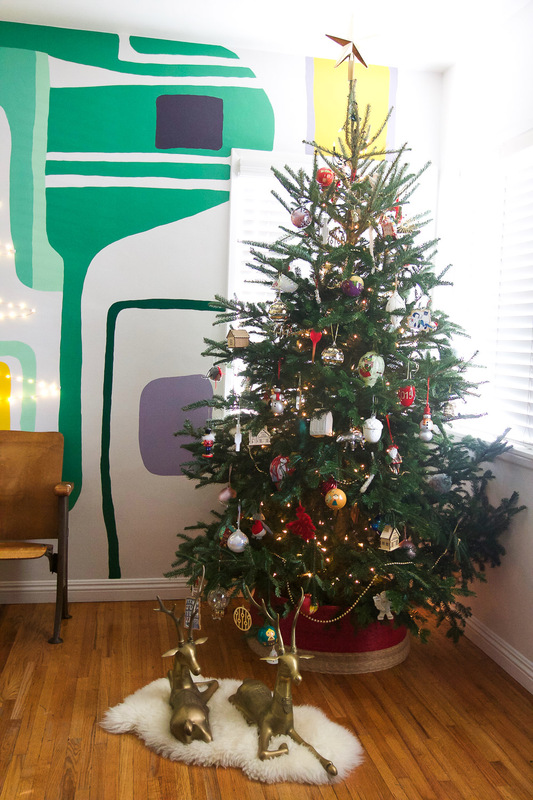 This is the post where I finally show you how we have decorated our home for the Holidays (enter drum beats of excitement). Hope you get some good inspiration for your home with this post. Let me know if you do! 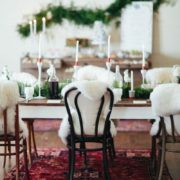 First, let me thank Jess from Domicile 37 for organizing this blog event- the biggest one of the season!!! If you are here from Insieme House, welcome! Hope you like my blog and decide to come for a visit more often! 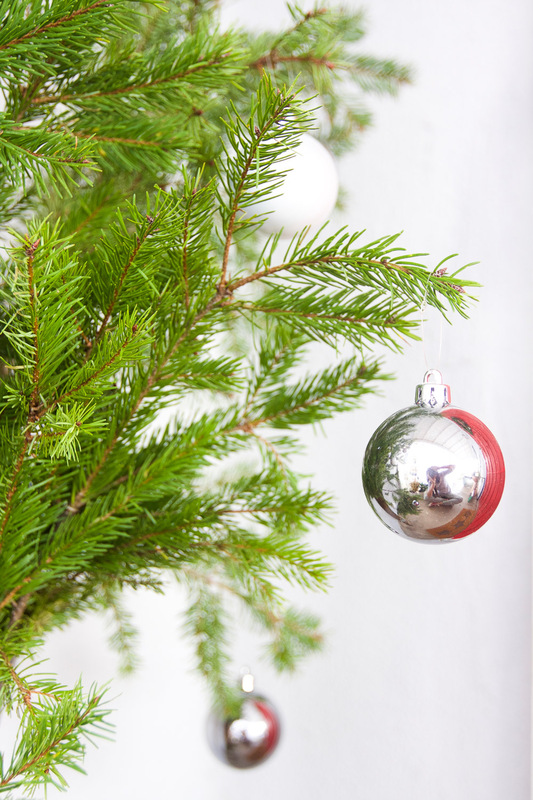 Before we get started, I wanted to remind you that this year my idea was to use a lot of greenery to decorate. I made garlands and wreaths that became the main component of my Holiday decorations (you will soon be witness #1 of this fact). I also added pine and cedar leaves here and there for a special touch. I am happy with how it came out- hope you agree. Without further adieu, let’s take a look at the photos because I know that is the real reason you are all here. Sometimes I wonder how many readers take the time to read my hilarious posts completely. Maybe 20%? or less? Ok. here we go. Let us start with photos of the entrance of our house, because I believe an entryway has to scream Happy Holidays as much as the interior of the house, don’t you agree? Hi, Mr. Golden Deer Head. I love you and that copper table you are sitting on. Oh, and that cedar? Just a touch so you can feel more at home (love emoji). Although, if you don’t like metals this would be a hate emoji. I bought most of my ornaments and decorations in previous years. The trick for me is to buy Christmas decorations the day after Christmas. This is when you get the best deals, plus, it is a real treat to open the Christmas decorations box a year later and find all the things you bought 12 months before and already forgot about. 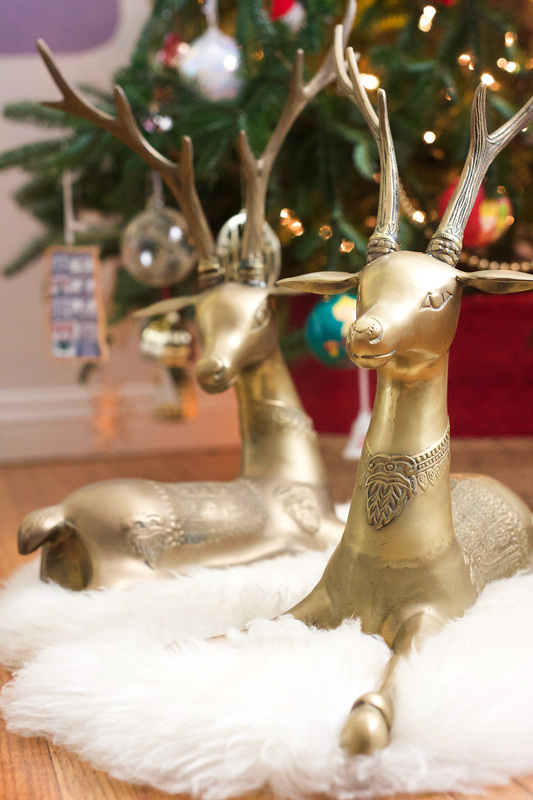 For example, that deer golden head from Target, which I am in love with now. 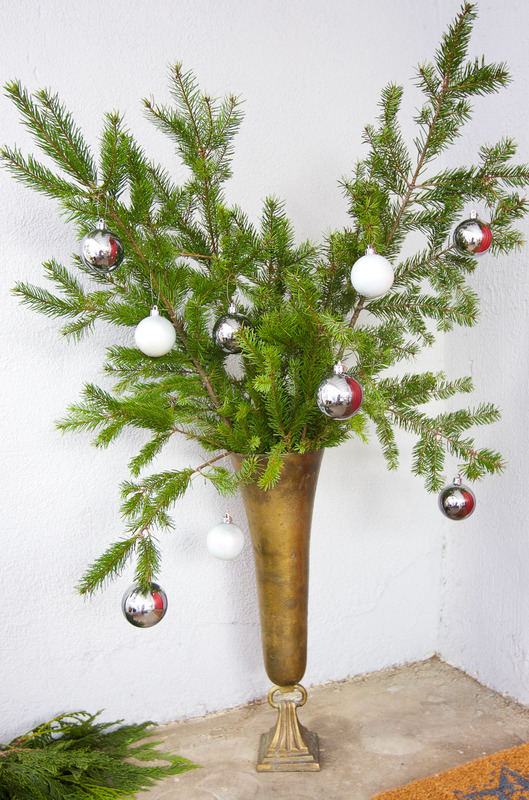 I created a fake tree arrangement with noble pine branches and decorated it with silver ornaments from Ikea. It gives the entrance a festive look, I think. That brass vase you might ask? That is a Flower Market score that is dear to my soul and happiness. That is me in that picture, in case you were wondering; the writer, photographer, and blogger aficionado that likes to spend her time beautifying her home instead of making dinner (or cleaning for that matter). 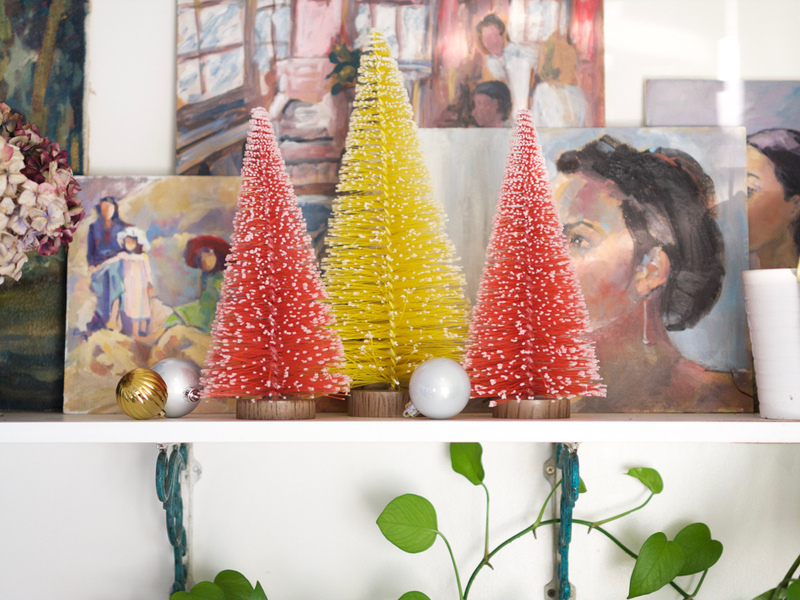 Remember the DIY Holiday Garland post I did last week? Well, some of you complained about my garland being sad and lonely. Well, not anymore. Here she is with a deer, star, trees, ornaments, and flowers. Isn’t she a happy camper now? I like it a lot. Hope you do, too. I have been doing gold ring wreaths because they are gorgeous and easy. This photo is an example, don’t you agree? 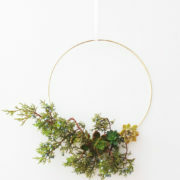 This coming Monday I will be posting a tutorial on how to make different gold ring wreaths. I would recommend you coming back for that one because it will make your life a million times better. Remember those nice bookshelves that a lot of you liked from my last One Room Challenge? Well, my friend Yassi, the same one that styled the shelves for the ORC, came to style them again for this Holiday Home Tour. 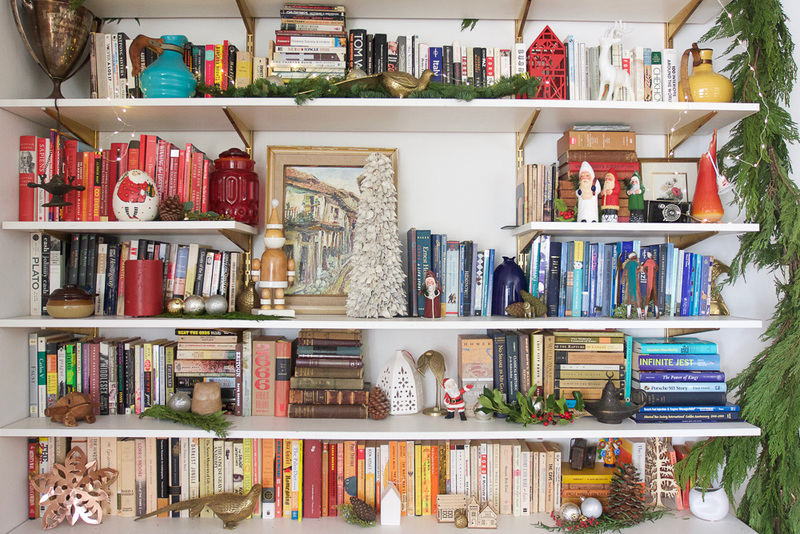 She added green, red, and Christmas decorations to achieve the perfect Holiday bookshelf. 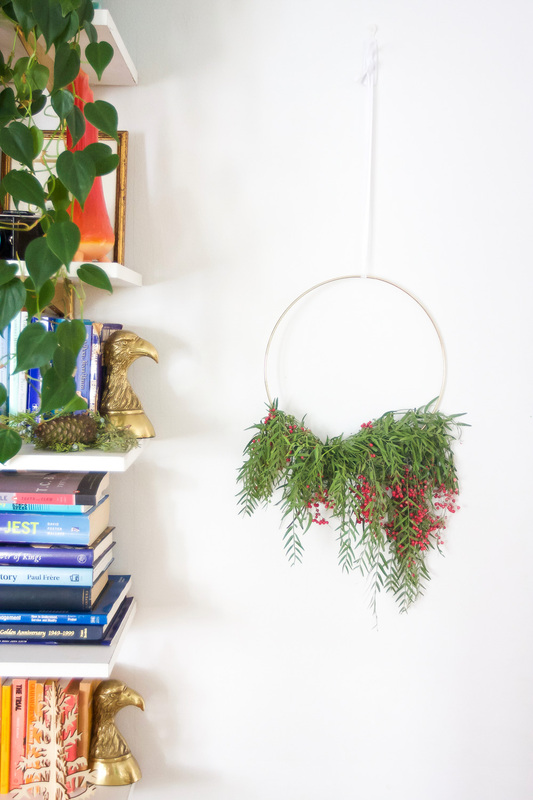 Also, we added that cedar garland that is SO cute, because this year is all about garlands and greens, like I mentioned 5 times on this post already, in case you were not taking me seriously. 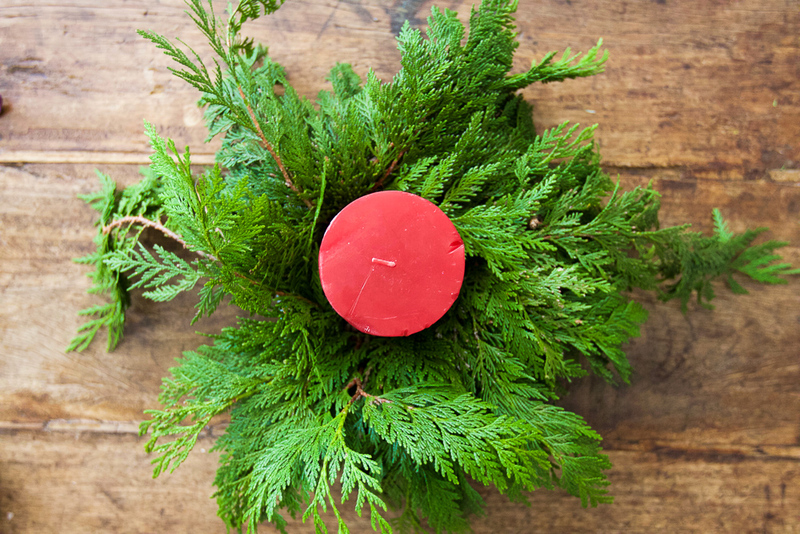 I made this centerpiece with lots of cedar leaves and a candle. Just that. 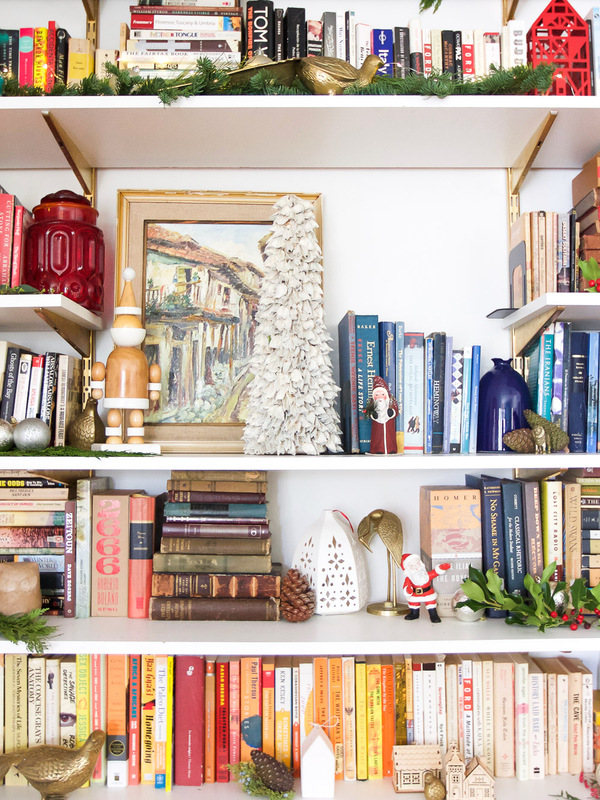 I dressed up this bookshelf on the hallway with Holiday gear. 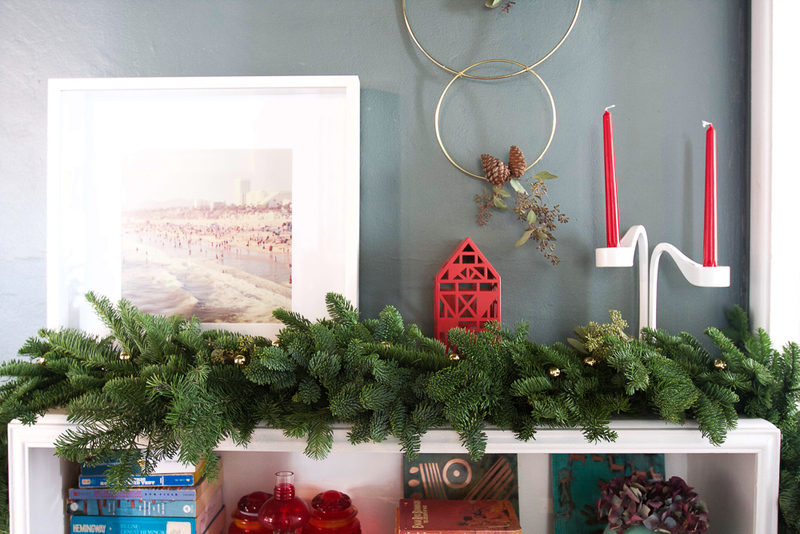 Again, a pine garland and some eucalyptus on the bottom give it a nice touch. The white candle holders are from IKEA Living Room – Part 2 The Christmas tree ornaments have taken me years to collect. 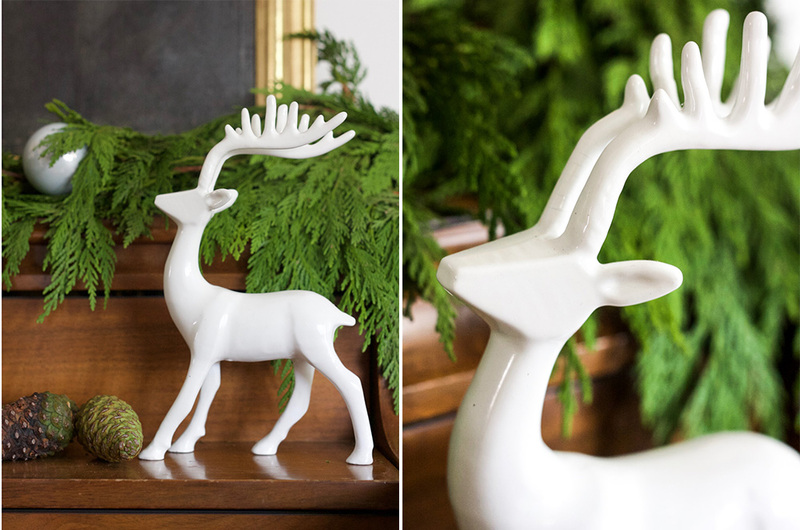 The brass deers were a Rose Bowl find from a couple of months ago. 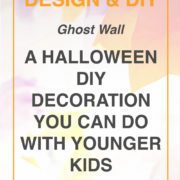 PS: Now that my kids are older (3 and 5), they play with decorations and destroy and average of 5 of them per season. Not cool, kids, not cool. In an effort to avoid more damage, I have decided to hang the delicate ornaments on top of the tree, out of reach, but these rascals always manage to get them anyway. The moral of this story is to not get attached to Holiday ornaments (or any material possessions) when children under 5 live under your roof. I hope you learn this lesson ASAP. It will save you from great heartache. 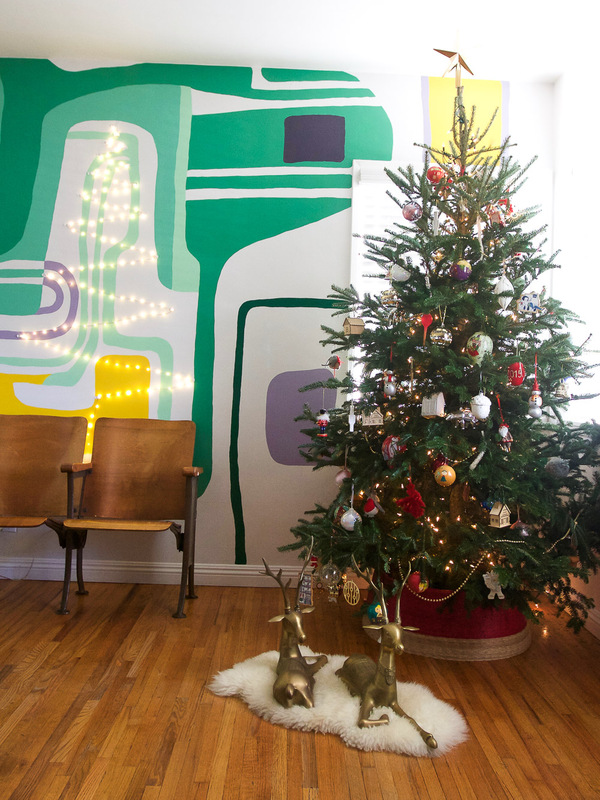 This tree made with copper string lights in front of the mural is pretty awesome. I wish I had a better photo of it, but I don’t, so you will have to take my word for it. It gives the room a nice touch. Kitchen My kitchen is colorful so I used these cute trees from Target to decorate and add even more color. 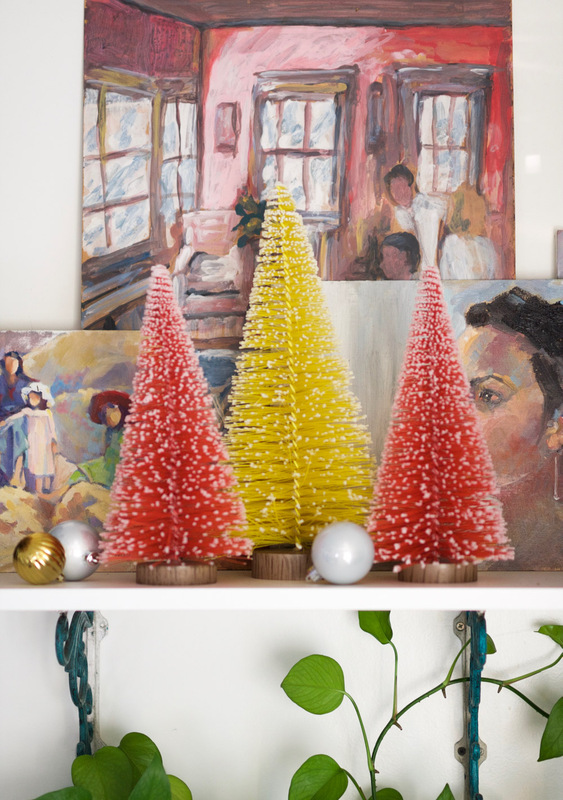 Extra ornaments, couple of oil painting, and voila! Ok, here were are at the end of my Winter Eclectic Home Tour. Thanks for stopping by. I hope you come back again soon and don’t be shy about leaving comments. I LOVE reading them. Now that you are done here, please, head over to The Gathered Home for the next and final stop of this amazing, incredible, and unique hop tour. 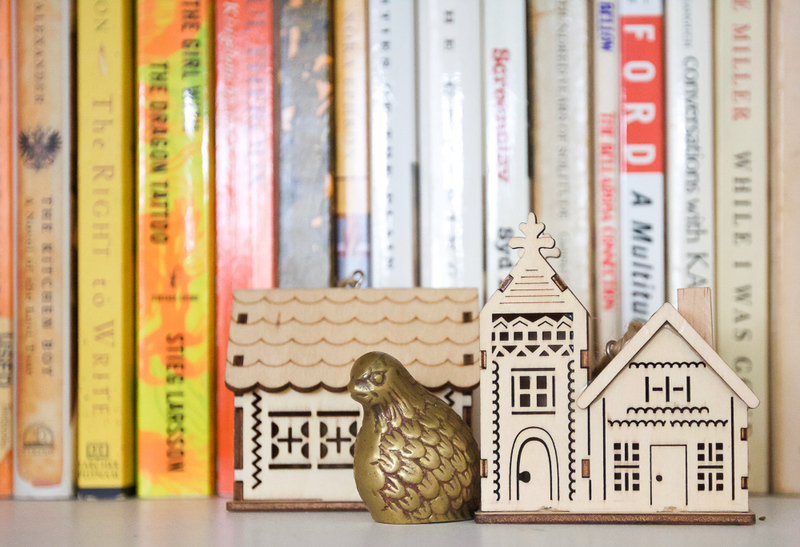 Love your house and all the creative touches you put on it! 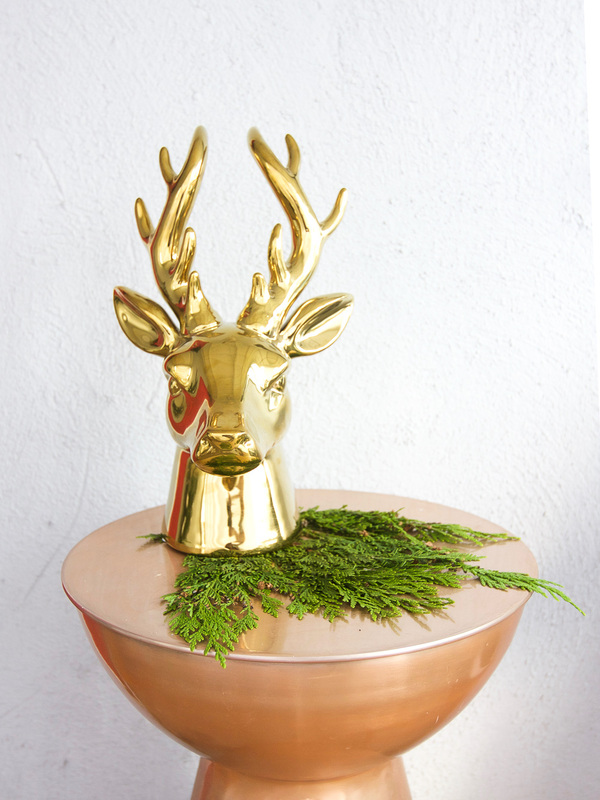 Those brass deer are amazing. Thanks, Jessica. Really appreciate it. Gorgeous!!! The way you use color makes me so happy! I absolutely loved your tour, my friend! So much to love and to pin! Those library shelves are the perfect place to stash Christmas goodies, and I love the shots of you taking photos in the reflection on the balls! I don’t love taking photos of myself but I think is necessary sometimes, don’t you think? I am happy you liked the tour! I loved yours, too. Mila! This was such a beautiful home tour. I really enjoy how you style and things and you are becoming one of my favorite reads. So happy we found each other via ORC. Love goes both ways. Your blog is definitely one my discoveries of the year. your home is so fun! 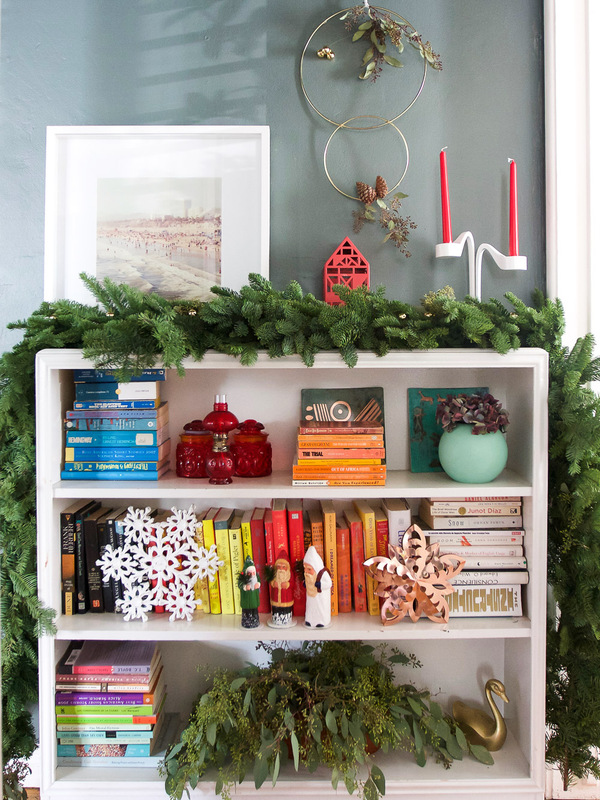 i am in love with your christmas bookcase styling! I wonder how long that bookshelf is going to last. My two kids love nothing more than move (and destroy) everything on it. ha. AW! Michelle, this comments means to much. I really appreciate the love and the mentioning of specific details. Thanks! 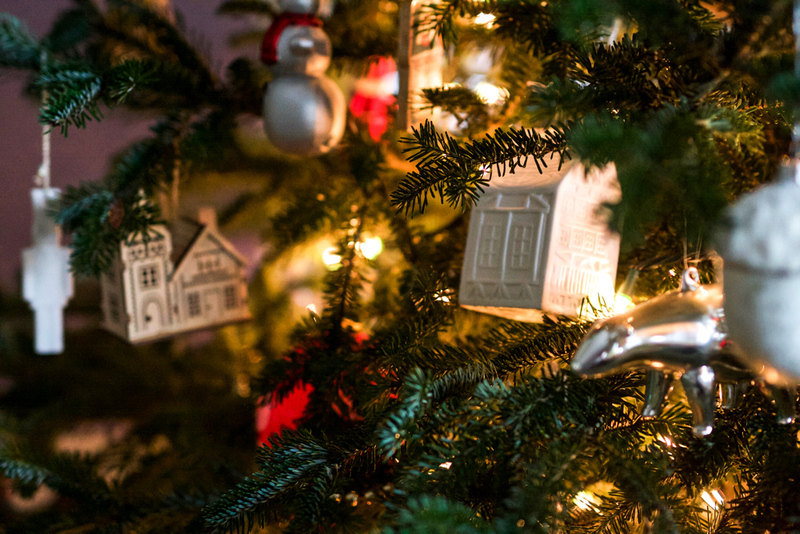 Your home looks so beautiful and warm with all of the holiday accents. I love greenery so much. If it werent for clean-up, I would have it scattered on everything. 🙂 And I am obsessed with Mr Golden Deer head and that copper. Beautifully done! Thanks, Erica! You are right about the greenery, by the end of the season there are needles all around my house… that is annoying indeed. Mila, I absolutely loved this…your place feels so artful and so thoughtfully curated! Such beautiful details and colors, and your photography is just wonderful! Astrid, you are so sweet. I really appreciate it coming from you, as your photography is just awesome. I love your site. WOW! It all looks amazing. My favorite are the deers lounging in front of the tree and the copper light Christmas tree, LOVE IT!!! I love those deers, too.. muak. besos, amiga. Oh shoot, I don’t know where to start! 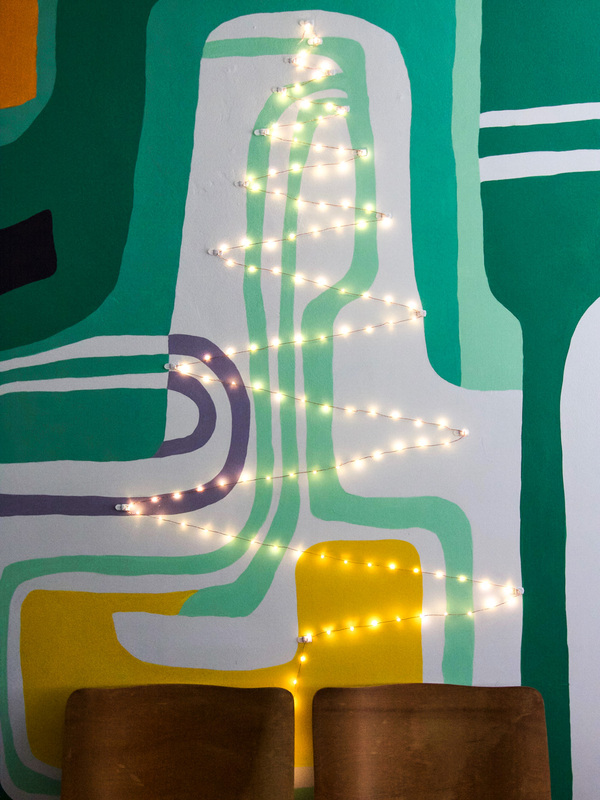 Your house looks amazing… you know I’m crazy about your wall… then you put a twinkle light tree on it! Genius!! 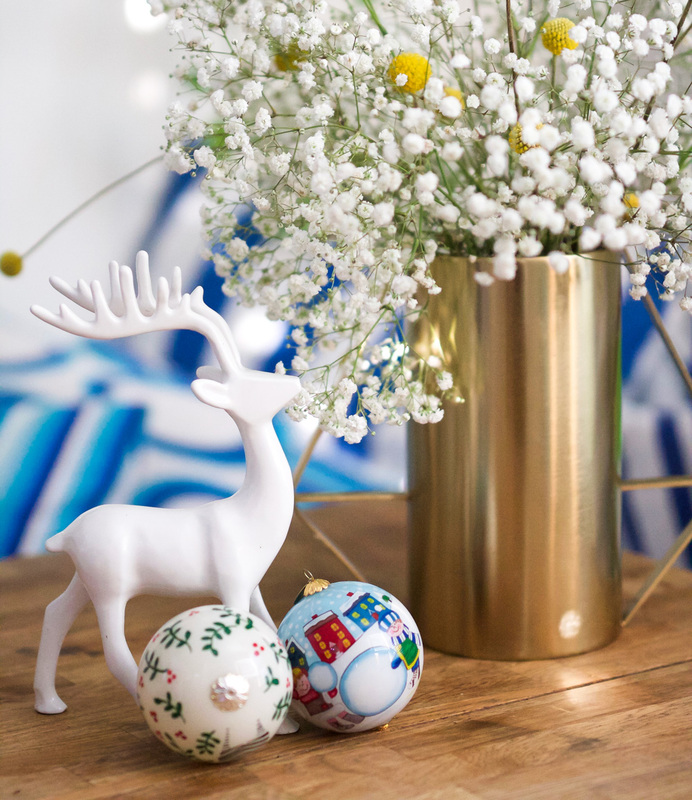 I’m also in love with your shelves, the simple wreath, the beautiful tree, but oh my goodness… those deer!! Major crush on those deer! It’s all awesome girl!! Nice work! The story of those deer is funny. I was at the Rose Bowl and I saw them first thing in the morning. First stand I stopped at. I asked how much they were and they guy said $80. I was like “no way”! I thought $80 was too much, so I kept going, but after 5 minutes I started getting that “vintage” anxiety you get at having missed a good deal, because I loved the deer, even though they were pricey. If you are a vintage hunger, you know what I am talking about. Finally, I went back to the stand and got them for $70 and I am still in love with them. ha! Amazing decorating, Mila! LOVE. Hmmm, to be really specific: all of it! ? haha! Thanks, Carina. Send photos of your decorations when you are done.. I am sure this weekend will be very productive in that regard! 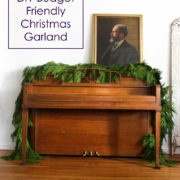 Thanks – Yes, we managed to get our house feeling Seasonal at last! Ps: Forgot to mention that, yes, your posts are hilarious and I do read them! Lol!! ? Oh my gosh, I love it ALL! Such a gorgeously decorated home! Thanks, Iris. I appreciate it so much. I simply adored your statement of a bookshelf! It is all of the colors of my dreams! 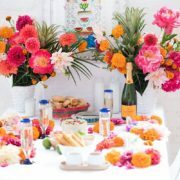 And I will absolutely be looking out for that tutorial on your gold ring wreaths – so cute!! OH! Thanks. Gold ring wreaths are SO easy and I am impressed at how cute they look! 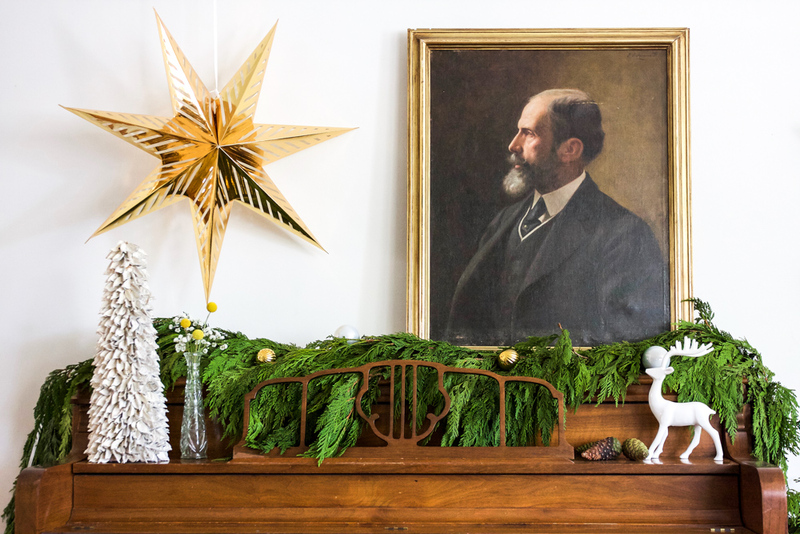 I love all the fresh greenery you incorporated into your holiday decorating! Your home is beautiful. 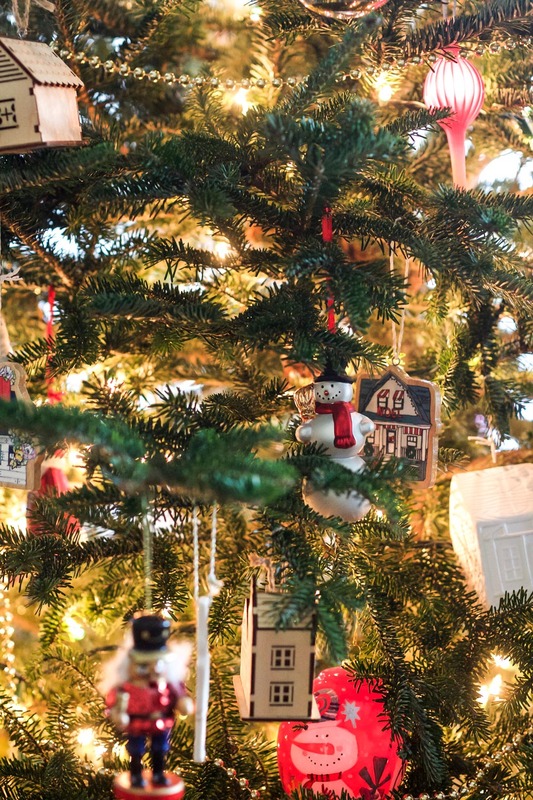 Love your tree with all the collected ornaments. 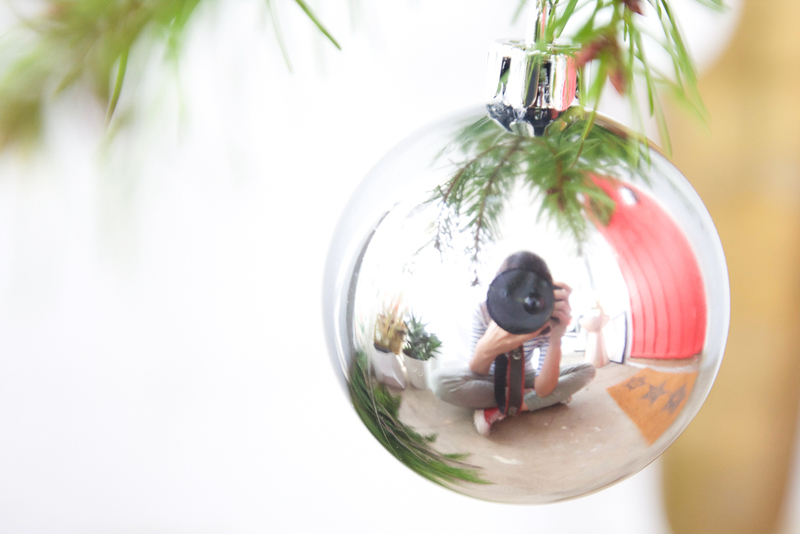 When my boys were younger, I used shatterproof ornaments. I’m able to adorn the tree with my glass and brass/gold ornaments now, but they’ve still been known to break a few. 🙂 Happy holidays! I NEED SHATTERPROOF ORNAMENTS! They have broken 4 this last two weeks already. Oh well, at least they give me an excuse to get more… he. Thanks, Carol. Marie, thank you so much. This type of messages mean a lot to me. 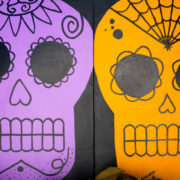 I am so happy you like the style of the blog. I love that wallpaper, too. Thanks for stopping by. love it Mila! 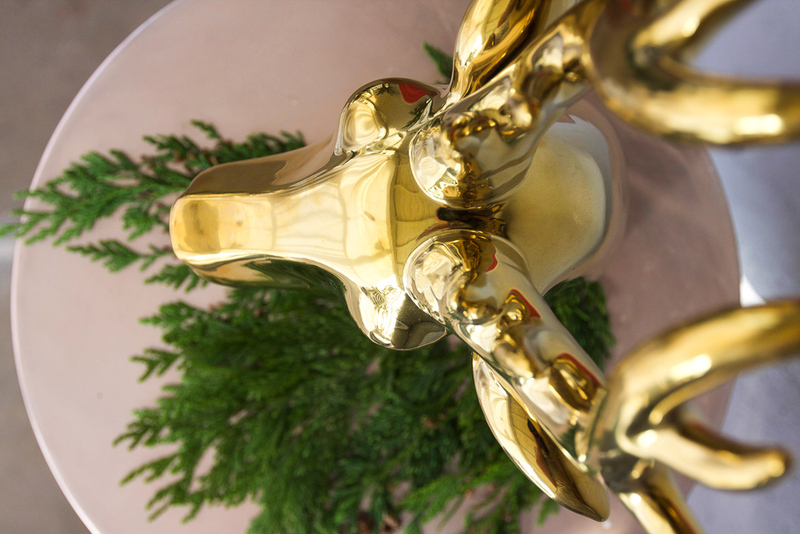 Great brass reindeer…. 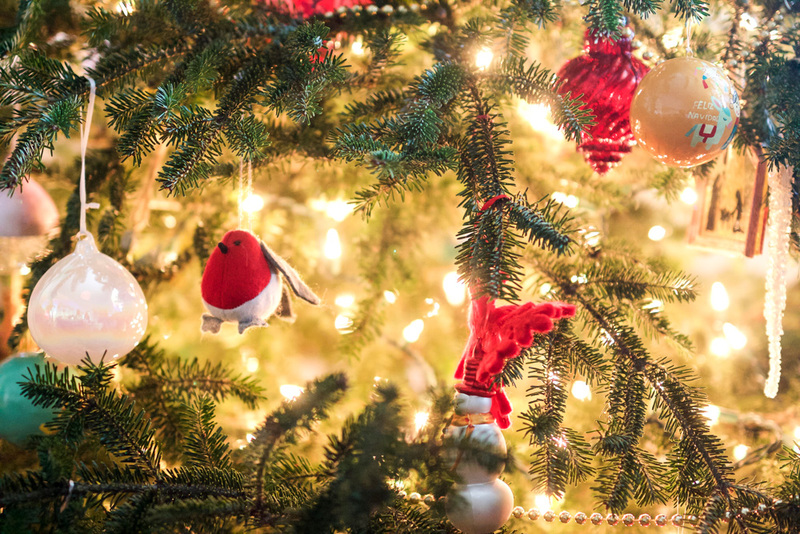 Your home is so beautiful for Christmas! 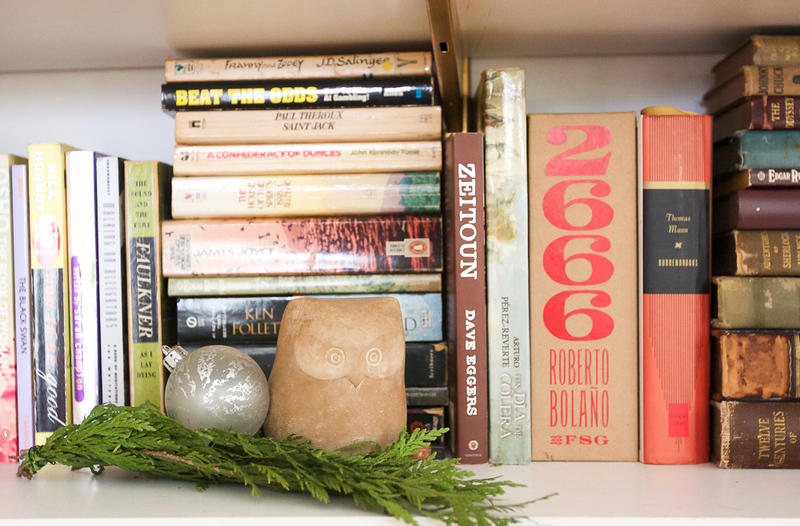 You have a serious knack for styling bookcases 🙂 Happy Holidays to you! Hi Jen. My friend, Yassi, helped me style these shelves.I am trying to convince her to start a bookshelf styling business! I just love all of that fresh garland and gold rings! There are so many pretty and interesting vignettes in your house. It feels so curated. Perfect. Kathy, thank you so much. 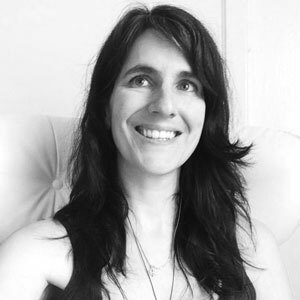 I love your blog so any love from you is super welcome! I really appreciate it!